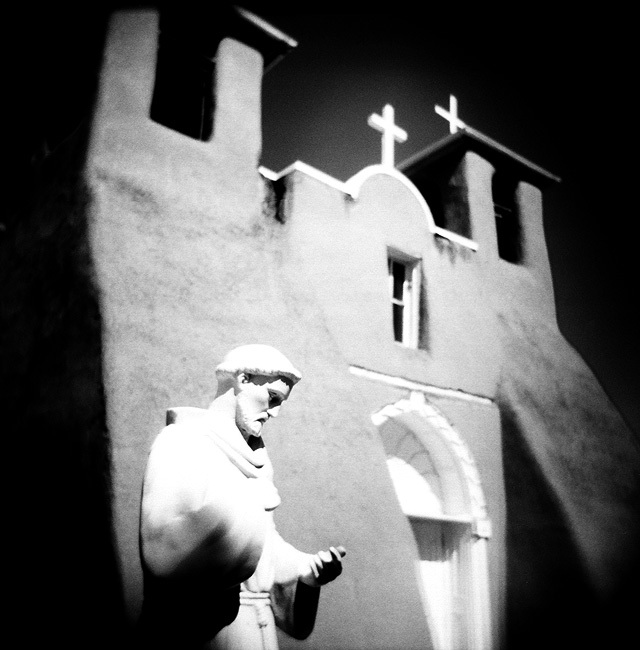 San Francisco de Asis, Taos, New Mexico. This church reportedly moved Ansel Adams so much, it made him change his career option from being a pianist to a photographer. Here’s my twist on North Americas most photographed church. Interesting narrative. Like the way you framed and composed this shot. Nice DOF and like the dark vignetting. haven't seen any other photos of this church but I'm sure this is one of the best. Great choice of medium. Everything is perfect in this shot! I thought this looked like a Holga shot:-) Nice capture. Love the mood of this one – funnily enough it reminded me of Mexico before I read your comment. Nice one. The tone and blur are fantastic! I love this – very nice interpretation. Georgia O'Keeffe's paintings of it always move me too.